Merrill Jennings Wood of Rutherfordton, NC died on July 30, 2017. Merrill was born August 29, 1935, in Winnsboro, SC to the late Merrill Turner Jennings and Robert Henry Jennings, Sr. She graduated from Mount Zion Institute in 1953. 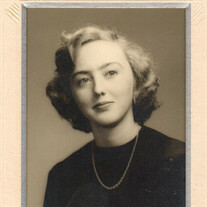 In 1957, she graduated from Queens College, where she was a member of Alpha Gamma Delta sorority, with a bachelor of arts in education. A devoted and loving wife, mother, grandmother, sister and friend, Merrill taught kindergarten and second grade in Charlotte Mecklenburg schools and Rutherford county schools. As much as she enjoyed teaching, she always felt her highest calling was raising her three children and being involved in the lives of her ten grandchildren. Merrill was a member of the First United Methodist Church of Rutherfordton, where she served on many committees. She delivered Meals on Wheels, served on the hospital auxiliary board and tutored children. Merrill enjoyed playing bridge, traveling, reading and spending time with her family and friends. Predeceased by her husband of 48 years, Lloyd Thomas Wood, Jr. and her brother Robert Henry Jennings Jr., Merrill is survived by her daughter, Robin Wood Williams, and her husband, James Patrick Williams, of Charlotte, NC; her son, Lloyd Thomas Wood, III, and his wife, Marie Burris Wood, of Greensboro, NC; her daughter, Merrill Wood Watts, and her husband, Thomas Ashby Watts, IV, of Lynchburg, VA; her sister, Barbara Jennings Douglas, and her husband, Wilbur Simonton Douglas, Jr., of Winnsboro, SC; her sister, Esther Jennings Baughman, and her husband, James Harvey Baughman, Jr., of Winnsboro, SC; and grandchildren, Jordan, Madeleine and Emily Williams; Thomas, Ben, Turner and Isabel Wood; and Ash, Carlisle and Clark Watts.